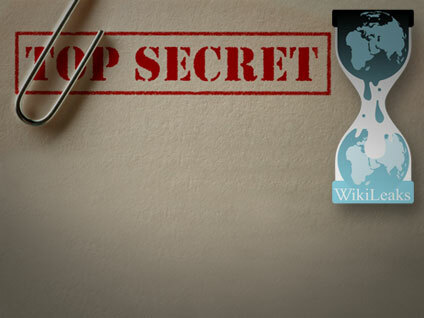 It’s been interesting to watch the reaction around the world to the latest Wikileaks, er, leak. Can I still call it a leak when it’s deliberate? My tap isn’t leaking when I run a bath. Well, for want of a better word, I’ll stick with leak for now though it does seem an inadequate way to describe the publishing of over 251,000 confidential US Diplomatic documents. The funniest sight so far has been journalists asking the US Secretary of State if she’s embarrassed by this leak. Do they have such short memories that they can’t remember they’re talking to Mrs Bill Clinton? She’s way past being made to blush by leaks to the press. I find myself, rather unsurprisingly, leaning toward the freedom of information being available to the public. The ability for the public to use such information, as they have with the Minton Report and Trafigura, provides an amazing opportunity to hold the powerful to account in a way that wouldn’t have been possible otherwise. On the other hand, another part of me finds Julian Assange an unsettling character focussed on his own publicity on an ego-building vanity exercise. While he works hard to paint himself as an information freedom fighter, I can’t help thinking that’s not even his main aim any longer, let alone his sole one. Having seen the coverage of these latest leaks, I’m neither surprised nor bothered by most of the information in them. Prince Andrew has always been a bit of a loose cannon, and the fact that embassy staff write reports on their host country’s leading figures is hardly news. Assange, of course, is happy to tell the world he and his organisation are doing the right thing because there shouldn’t be any secrets and he is fighting for truth. Which is nice for his reputation, but in the real world, not strictly true. Part of the problem is that one man can’t be the arbiter of what should or shouldn’t be in the public domain. What Assange thinks is of public interest and what actually is of public interest aren’t necessarily the same thing. Assange’s complaint that government departments are too secretive and anonymous, and fail to offer enough accountability and transparency to the public would carry more weight, if we couldn’t say the exact same thing about Assange and Wikileaks.